Tasia is a military veteran with a huge heart and passion for wildlife. Before the military, Tasia graduated from Tabor College with a Bachelor of Science degree in Biology concentration Environmental Science. While at Tabor College, she took an immediate interest in Animal Behavior and Wildlife Conservation and began seeking experiences that would broaden her knowledge in the field of Wildlife Conservation and Cultural Anthropology. She's honed her skills as a Biologist and animal caregiver through 16 years of hands on experience in a variety of subfields. 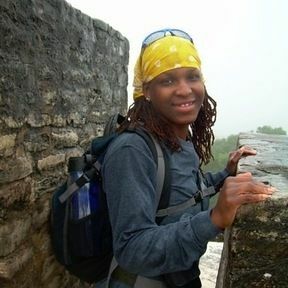 She gained her 12 years of knowledge and expertise from working as a Zookeeper in several Zoological Parks, as a Conservation Biologist conducting research along side the Zulu Tribe on Game Reserves in KwaZulu-Natal South Africa and among the Mopan Mayans in Blue Creek Belize, Central America. Besides working in AZA (Association of Zoos and Aquariums) accredited Zoological facilities, Tasia also picked up skills by working on farms and cattle ranches, conducting animal education programs and presentations as a member of Tabor College' s Herpetological Society, and through wildlife and exotic animal rehabilitation.